A WebmasterWorld thread has a discussion around a new Microsoft research paper named Domain Bias in Web Search (PDF). The paper describes how reputable and popular domain names have a strong bias in the search results. Searchers are more likely to click on the results from a popular domain. What is the issue with that? Well, they say in the paper that the "existence of domain bias has numerous consequences including, for example, the importance of discounting click activity from reputable domains." In short, if Bing uses click data for ranking purposes, which they do on some level, then they have to factor in discounting in clicks from reputable domains to reduce the bias searchers have towards them. Why does it matter if reputable domains get clicked on more, they should? Well, according to their study, in a blind searcher test - if you remove the domain factor, searchers are much less likely to click on those results. So to remove bias in the search results, they want to dampen the click factor ranking algorithm to not artificially inflate those results. This paper uncovers a new phenomenon in web search that we call domain bias — a user’s propensity to believe that a page is more relevant just because it comes from a particular domain. We provide evidence of the existence of domain bias in click activity as well as in human judgments via a comprehensive collection of experiments. 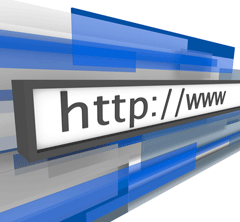 We begin by studying the diference between domains that a search engine surfaces and that users click. Surprisingly, we find that despite changes in the overall distribution of surfaced domains, there has not been a comparable shift in the distribution of clicked domains. Users seem to have learned the landscape of the internet and their click behavior has thus become more predictable over time. Next, we run a blind domain test, akin to a Pepsi/Coke taste test, to determine whether domains can shift a user’s opinion of which page is more relevant. We find that domains can actually flip a user’s preference about 25% of the time. Finally, we demonstrate the existence of systematic domain preferences, even after factoring out confounding issues such as position bias and relevance, two factors that have been used extensively in past work to explain user behavior. The existence of domain bias has numerous consequences including, for example, the importance of discounting click activity from reputable domains. Note: Of course you can't go what is written in a research paper as being implemented. Image credit to ShutterStock for domain image.